Wot happens when yr writing skills look lyk dis? Hmm. If you don’t think there’s anything wrong with that sentence, well, then, this article is especially meant for you. With Twitter, Facebook and Whatsapp accounting for the bulk of what people read nowadays, it is not surprising that business writing is approximating social media posts and chats. Yet good writing skills are the bedrock of good communication, which is the basis of our day-to-day professional lives. We cannot function at work without communicating with each other, verbally or in writing. For instance, a well-written resume can help you land your dream job, great advertising copy can drive sales and smartly worded communication can close a tricky business deal. 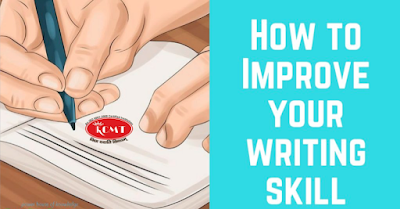 Whether texting or emailing a colleague, writing to your team leader or crafting the company newsletter, writing skills are a basic requirement for you to perform adequately at the workplace. Look at the flipside. An ill-phrased or careless email or memo can make people baulk, and that can color the impression of the sender, regardless of his or her actual abilities or qualifications. Worse, it could lead to miscommunication, disrupt workflow, and cause deadlines to be missed or provoke misunderstandings. Did you know that grammatical errors, bad punctuation and misspellings cost Internet businesses millions of dollars every year? Studies have shown that bad English puts off consumers, who have concerns about a website’s credibility and will not buy products featured on those portals. Another area that calls for especially good writing skills is resume writing. And who doesn’t need that? Since your resume or cover letter is the first impression you create with employers – and bad writing creates a terrible impression – do the math when weighing your chances. In fact, many employers state upfront that a CV containing spelling or grammatical errors will be rejected immediately. Alternatively, people with good writing skills come off as professional, capable, competent and credible, and they command greater authority than those whose emails, memos and reports are littered with errors. The Big Question - How To Improve Your Writing Skills? As we have seen, people communicate in writing on a daily basis at work. But much of it is garbled or riddled with errors, thus tripping up the writer at every step of the way. Here are a few tips for effective business writing. One, know your audience because this will influence the style, tone and format of your writing. For instance, are you crafting an in-house email or are you writing a white paper for a wide audience? Two, keep it simple. Attention spans are shrinking and people just don’t have the time or inclination to ‘figure it out’. Never sound pedantic. On the contrary, use short sentences and simple language. Avoid using jargon and definitely avoid loaded words. Thanks For Reading t[he Article...! !